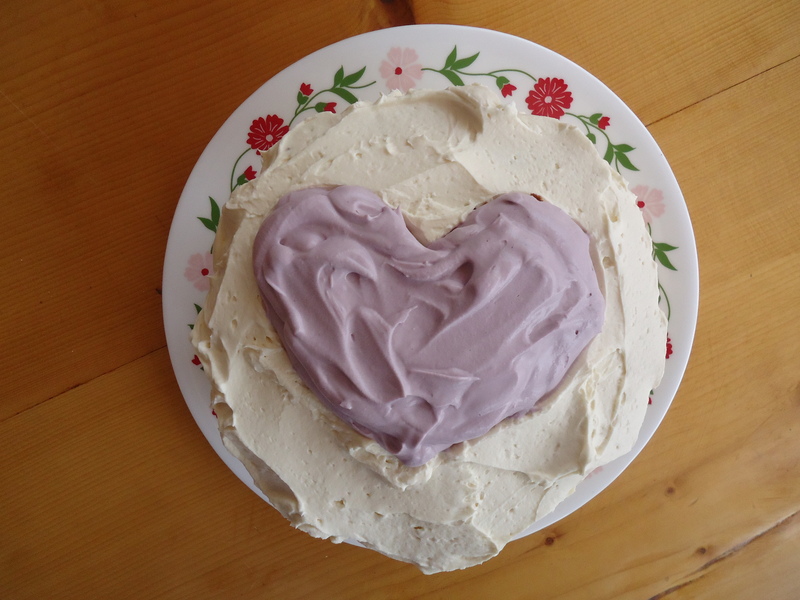 Gluten Free Valentine's Cake, see recipe below. POTSDAM, NY -- The idea of "gluten free" is being talked about everywhere lately, and many people find that they are unable to tolerate the proteins found in gluten-containing grains, or just feel a lot better when they eliminate them from the diet. Because of the need for basic, solid information on this subject, the Local Living Venture is presenting another in their series of "Nutritious Delicious" cooking seminars entitled ""Gluten Free Eating and Living" on on Thursday, February 27th in Potsdam, NY. If you are curious about Celiac Disease, gluten intolerance or are wondering about going gluten free, it may all seem overwhelming. This informative session with local nutrition educator Paula Youmell, R.N. will give attendees the lay of the land from both a practical cooking discussion and demonstration to the very important health perspective. Plus, attendees will help make, and then sample, some gluten-free whole foods. Topics to be discussed include: the basics of a gluten free diet; how to do it in a healthy and easy manner; how to avoid hidden gluten and cross contamination; and, cleaning out the kitchen of gluten products. Many resources will also be shared for follow up. Presenter Paula Youmell is an R.N., Certified Health Education and Lifetime Wellness/Fitness Teacher who has worked in the areas of holistic health, healing and whole foods for twenty-plus years. Youmell is currently proprietor of Hands On Health Holistic Healing (www.HandsOnHealthHH.com) and has co-presented several seminars in this Nutritious Delicious series, including "How-To Cook Beans & Grains" and the "Baking with Whole Foods" classes. The Local Living Venture (LLV) sponsors workshops promoting traditional rural and simple living skills with the motto "Sharing Knowledge from the Past - Building Skills for the Future." A listing of upcoming resourceful living workshops and events are on the Workshop Schedule page at www.SustainableLivingProject.net. New topics and local workshop presenters are always sought and welcome. Co-sponsoring the event is the Potsdam Food Coop at 24 Elm St., Potsdam, NY They strive to provide a pleasant shopping experience and working environment, with an emphasis on education, shared information and developing a relationship with the community. The Co-op (www.PotsdamCoop.org) carries local, natural and healthful foods and is open to the public (no membership required) from 8 a.m to 7 p.m., seven days a week. Class size is limited so attendees must RSVP for the location in Potsdam, NY. To register contact LocalLivingVenture@gmail.com or (315) 347-4223 with your name(s), phone numbers, and number in party. The class fee is a suggested donation of $15 per person, $5 for students. Partial scholarships are available upon request. Keep in mind I made this in my usual "throw stuff in a bowl and hope for the best" method. Amounts are approximate based upon my throwing in the bowl and eyeballing the amounts. 100% whole grain, gluten-free flour mix - this was millet, amaranth, quinoa, teff and buckwheat that I ground just before making the cake. Any gluten-free grain will do. Certified gluten-free oat flour is great if you want to replicate a "normal" cake. Start with 1 1/4 cups of whole grain, gluten free flour. Add as described below and let set for the 5-10 minutes. Add more to make thicker if needed. Cake batter is runnier than cookie or muffin batter. Stir and use best judgement on the consistency. 1. Mix wet ingredients and beat together well. I melt the butter first and use a little bit to butter the cake pan. 2. Add dry ingredients on top of wet and mix them in well. Start with 1 cup of the flour. When every ingredient is mixed together, set the bowl aside for 5-10 minutes. Whole grain flour soaks up liquid. It is easier to add more flour, a little at a time, than to try and add more liquid. 3. Check batter consistency after 5-10 minutes. If too runny for cake, add a bit more flour and check again in a few minutes. Batter is ready when it is at the consistency of cake batter. Not sure what that means? Well, runnier than cookies or muffins but a bit thicker than pan cakes. That is my best explanation, play in the kitchen and these things become second nature. 4. I baked in my 6" round, 2 1/2" deep Pyrex bowl to make a small cake. 5. Bake at 350 F for about 40 minutes or until knife comes out clean. 6. Allow to cool for 30 minutes or so and remove from baking dish. 7. Allow to cool completely. Slice in 1/2 to fill between layers. Fill and top with other half of cake & frost. 1. Blend all frosting ingredients together until thick like frosting. 2. Separate into 2 bowls, 1/2 frosting in each bowl. 3. Add grape juice or black cherry juice concentrate to make the frosting pink. I added about 1/4 cup of the concentrate (do NOT reconstitute this concentrate). 4. I used the fruit juice colored frosting to fill between the layers and make the heart on top.